Oh my word I enjoyed the heck out of this book. Ms. Walker is wonderful at creating worlds and characters that you quite literally get lost in. The different factions working towards their own goal and how everything was intertwined was amazingly written. You could see how they’re all connected and how the actions of one affected another. The world building was lovely and I enjoyed getting lost in someplace new. Jecks was such a badass. He wouldn’t take anyone’s crap and he fought for what was right and just in the world. He took care of his soldiers and their families. He was honorable and legitimately wanted the best for both Kabaria and Tefaulst. He struggled with his feelings for Dorane so much in the beginning of the story. I loved how Jecks interacted with his friends, with the other soldiers, and with Dorane. He had a camaraderie with others that was so great to watch. He knew how to let loose and relax but also when to be serious and focused. Dorane was fascinating. He was an accomplished soldier that knew how to fight. He also had reached a point in his life where he hoped to not have to fight anymore. In some ways, he wore his heart on his sleeve but he also kept his emotions well hidden. Especially from those who would use his feelings against him. He cared what happened to his men and those he deemed close enough to be considered family. Dorane struggled with his past and the ramifications it has on his future. You could tell he wasn’t being completely forthcoming about a few details as the story went on. But the scene where Jecks and his friends figure it out and the scene where Jecks confronts Dorane about it were wonderful. I was on the edge of my seat the whole time. I loved Jecks getting a happy ending. There were times I wondered if they’d work it out and make it happen. But oh man by the end of the book I was cheering along with everyone else. I adored the happily ever after ending. You know they’re going to make it long term and be able to overcome any obstacles thrown in their path. I desperately hope for a sequel because I would love some of the others in the story to get their own well deserved happy ending. Hannah Walker is a full-time mum to two gorgeous teenage sons, and shares her home with them and a very supportive husband, who has always encouraged her to follow her dreams.She has always loved books from her childhood years reading alongside her father. She has inherited her father’s love of Sci-Fi and Fantasy. She has combined this with her love of MM romance to write her series Avanti Chronicles. She loves writing about a complex world where the men love and live hard. Welcome to the world of MM Sci-fi. 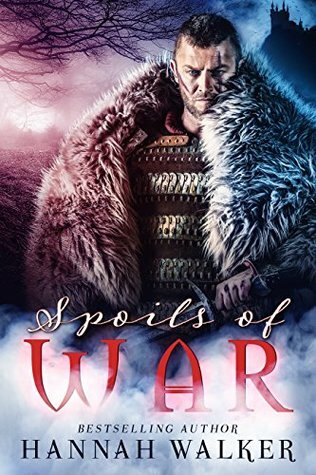 This entry was posted in Reviews and tagged Army, Author: Hannah Walker, Fantasy, Gay, HEA, Location: Author Created World, M/M, Military, Molly Reviews, Politics, Rating: 4.5 stars, Royalty, Second Chance At Love, War/Fighting/Battle. Bookmark the permalink.